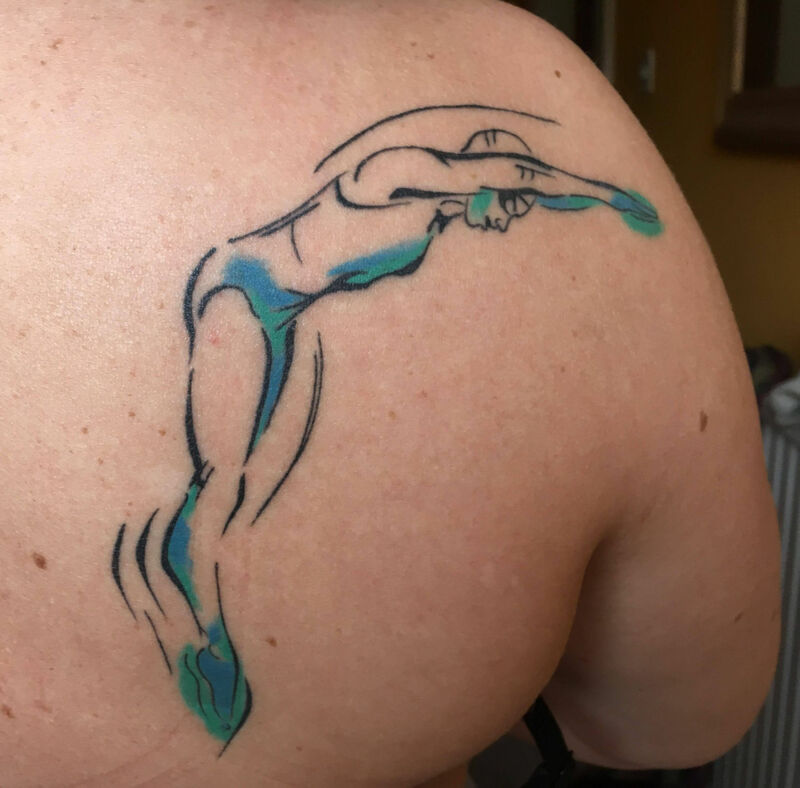 This entry was posted in commissions, drawing, swimming, tattoo and tagged art, drawing, swimmer, swimmer drawing, swimmer tattoo on November 21, 2017 by Nancy Farmer. This tattoo is so simple yet eye-catching. 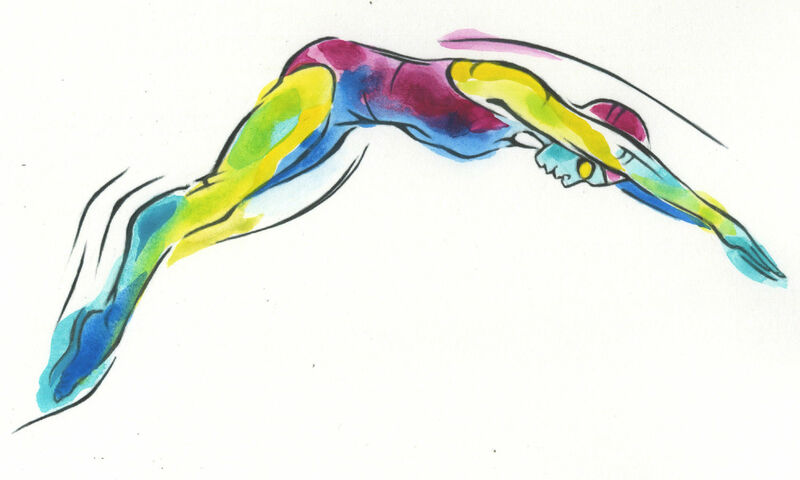 If anyone here who loves to swim yet thinking what type of tattoo will suit him or her, can go for this design. 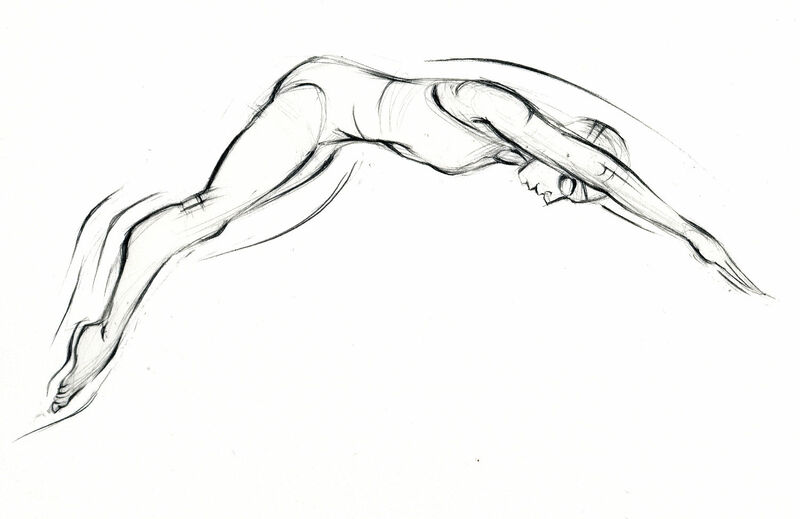 This is the perfect line tattoo and will not pain much. 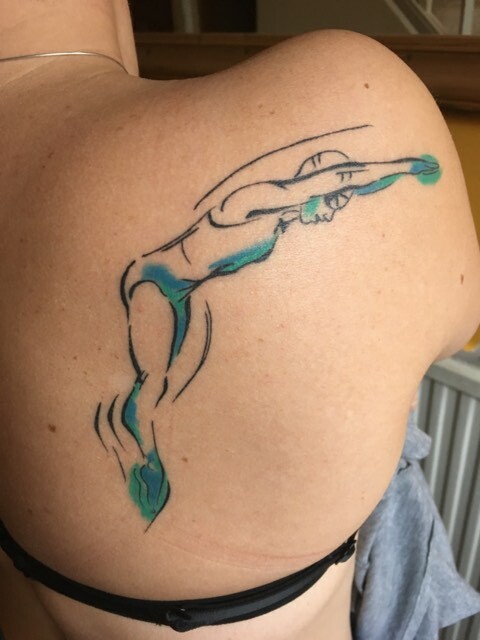 You can do this tattoo style anywhere, on your back, arms, legs and even on the shoulders.